T20 bowling has come a long way since the inception of the IPL in 2008. Bowlers are smarter and can bowl with a lot of variation. Hence, there has been a greater need for teams to purchase bowlers who can bowl these variations to perfection. Over the years, we have seen teams like Sunrisers Hyderabad and Mumbai Indians who have a great bowling lineup, outperform other teams consistently. Even in the IPL auctions, it just feels like a majority of the spotlight is on the bowlers. The purple cap was introduced in the inaugural edition of the Indian Premier League as a reward for the bowler who picked the most wickets. So far, the purple cap has been held by some of the best bowlers in the world. With the IPL set to commence on March 23rd, the race for the purple cap will be much closer than ever before. Hence, we’ve decided to predict the 5 bowlers who could win the purple cap this year. 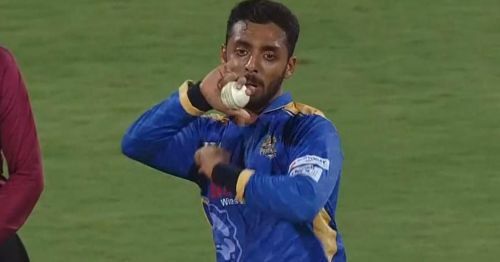 Varun Chakravarthy is a mystery spinner from Tamil Nadu who made headlines when he was purchased by Kings XI Punjab in the IPL auctions for a whopping Rs. 8.4 crores. 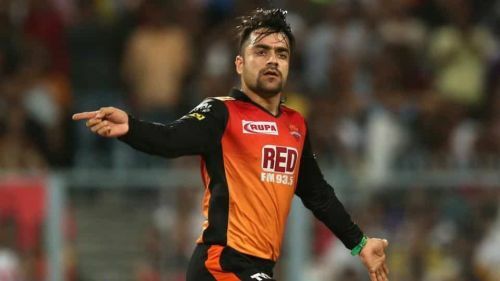 He first gained notoriety due to his performances in the Tamil Nadu Premier League (TNPL) where he picked up 9 wickets at an excellent economy rate of 4.92. Not much is known about his bowling and this could very well work in his favor. He will be playing alongside experienced Indian spinner Ravichandran Ashwin and Mujeeb Ur Rahman who was last year’s surprise package. Varun will have a major role to play if he is to justify his heavy purchase price. Expect the Tamil Nadu spinner to turn a lot of heads and have a huge impact in this year’s tournament and he could very well finish as the leading wicket-taker of the tournament.